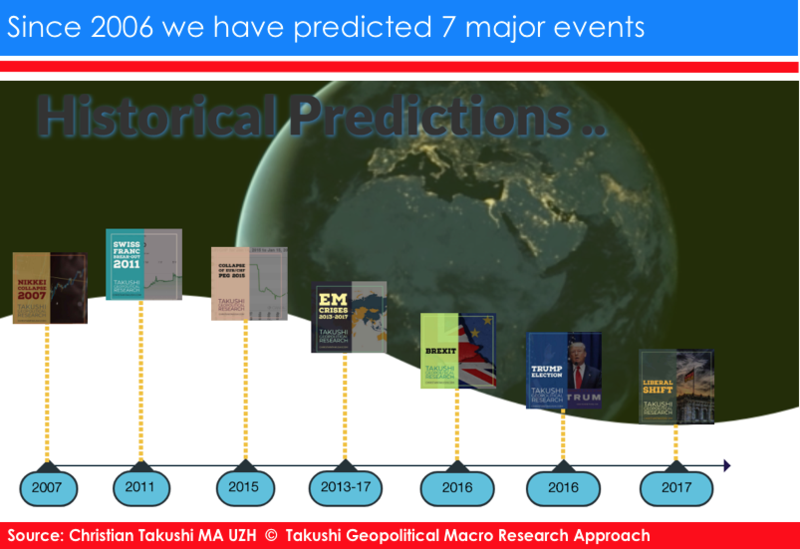 this past week so many geopolitical events converged, that many may have not grasped the magnitude of what happened. What we have been warning about for years is practically at hand: The end of Nuclear Security over Europe. The United States saw herself forced to exit the INF Treaty and Russia did the same the next day. If it cannot be “rescued” within 6 months, the Treaty will irreversibly and automatically end to exist. Missiles will again aim at Western European capitals. Given China’s unhindered construction of similar mid-range ballistic nuclear missiles, it is unlikely Russia will give in and the USA accept the growing disadvantage. It is noteworthy – and for some even alarming – how many high ranking EU officials still seem to struggle to recognise how much the world has changed. They fear the US and Russia might unleash an Arms Race. As Secretary Pompeo rightly stated. The Arms Race is already in full swing. The irony is that Western Europe is now the most vulnerable and defenceless Economic Power on earth. Reflecting the EU’s utter lack of geopolitical & strategic foresight, the EU dismantled most of its military, only to announce recently that it will rebuild it again. A terribly costly decision that for two decades enjoyed the support of Europe’s academic, business & political communities. It will take at least until 2025 to have a somewhat credible army. Being so exposed for another 6 years, it is remarkable, that Paris and Berlin are openly defying the USA, their only superpower protector. A plausible explanation, many EU leaders see China as their new champion and protector. But we strongly doubt that China has the necessary military capabilities and political will to risk war (and the loss of millions of lives) to defend a defenceless ally and the Trading Routes on which Europe’s wealth so much depends. My analysis shows that Beijing officials themselves are surprised that EU leaders are defying the USA so openly & prematurely, while expecting China to protect Europe at this stage. China is simply advancing her own interests and it has the right to do so: From Beijing’s perspective, the EU is already dependant on China. Should the EU be defeated or in disarray, then the EU would have to accept even more “preferable” conditions from Beijing. The demise of the INF Nuclear Treaty will only exacerbate the gap between Western and Eastern Europe, because Eastern and Southern EU members have had for years their doubts about the geopolitical competence of Brussels-Paris-Berlin. They also see the recent moves by Paris and Berlin as exposing all other EU member states to yet more unnecessary risks. In contrast to Western European capitals, Poland and Romania took the growing threats seriously. They engaged directly with the USA, became highly committed US allies (and NATO members), reinforced their military and invested in the US Ballistic Missile shield. They are now the best protected nations in Europe against a ballistic nuclear threat. The US-Poland along the US-Romania military cooperation provides actually “the” only effective ballistic nuclear shield over Europe. With the demise of the INF and the growing uncertainties in Western Europe, the United States has now more reasons to treat Poland and Romania as strategic allies. Money is likely to follow the US-provided Security. As South Korea has shown in the past, the US military security umbrella can allow a nation to prosper economically. Even if it faces a real threat. I expect something similar to happen in Poland and Romania. 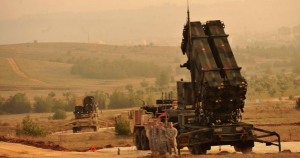 The US Aegis Ashore Ballistic Air Defense System and the U.S. 6th Fleet presence in Romania have been catapulted to the center of Europe’s ballistic defense. Bucharest’s strategic foresight and investments are paying off and many Europeans will surely show appreciation. It is an awkward situation for Western European capitals though to suddenly depend so much on the two nations (Romania and Poland) they have derided and opposed. Bucharest and Warsaw began to think of their need to rearm and deepen their military ties with the USA, while Paris and Berlin were still bent on disarmament – That was based on the belief that increased trade would guarantee peace over Europe. Eastern European capitals have reasons to doubt the ability of Western European governments and their security services to assess future risks. Germany prospered greatly under the US Security umbrella, but I sense that after Germany’s exceedingly open embrace of China-Iran and Berlin’s decision to deepen her dependence on Russian Gas, the USA has de facto downgraded Germany (and the EU) as a conditional ally. It is therefore likely that Germany’s prosperity may suffer from now onwards. That will also affect other EU states already ravaged by the premature introduction of a single currency. In relative terms, this could help Paris enjoy a greater role in Europe as French defence firms benefit from the rebuilding of the European military. What occurred this week could be another nail in the coffin for the old NATO alliance. What is worst, all actors have a strong interest in stressing their commitment to an ailing NATO. Even Washington. Despite the rapidly fading Nuclear Security over Europe, Western Europe sent a very defiant signal to the USA: “we will start circumventing US sanctions on Iran this same week”. I have full understanding for the EU position on this issue, but the timing of the move sends a defiant signal to Washington. “We will build our own EU Army & we have new friends.” In my opinion, some of the decisions taken by Western European leaders in the run-up to last week were not in the best interest of their citizens. The special purpose vehicle (SPV) INSTEX is here: France, Germany and the United Kingdom begin to officially circumvent US sanctions on Iran. Due to its timing, a serious defiance whose consequences many in Europe seem to underestimate – why should the United States defend unconditionally countries that dismantled their strategic armed forces, cannot defend themselves (nor the USA) and are embracing US arch rivals? The move confirms the concerns in security circles and among younger US generals that NATO has become an asymmetric risk for the USA.We observe that political leaders in Paris and Berlin are terribly underestimating the fury they are igniting in several centers of power in the United States. Remember also that Germany is already withholding the extradition of a terrorist to the USA – charged with killing two US military personnel. Bringing those to justice that kill American servicemen is taken “sacredly serious” in America. EU leaders in Western Europe are extrapolating their political & value system unto the USA. That is flawed – those are very different. Western European leaders think they are aiming at the Trump Administration, but they do so in stark ignorance of how widely power is distributed and shared in Washington. EU leaders are writing off America, because they interpret the chaos and division in Washington as a sure sign of America’s decline. They overlook that America was designed to have a divided government, so that the states and businesses can flourish with minimum obstruction from a central government. This is a matter of grave concern for Europe: We reiterate that leaders in Berlin, Paris and Brussels are making one misjudgement after another. To some extent it is understandable as well-trained bureaucrats are not best equipped to deal with complex strategic matters, and are under multiple pressures. It might also be possible that they are being ill-advised. Nonetheless, those errors are not only putting other EU members at risk, some of the recent moves are detrimental to European security and EU strategic interests.The EU reaction to the Iran embargo is understandable and even subject of some sympathy, but the EU has never faced as many threats as today and it is defying the very superpower that provides for her security at many levels. Berlin and Paris are taking the nuclear security over Europe and the US protection for granted. At a more tactical inner EU-policy level, the recent moves are aimed at complicating the ever closer US-Poland and US-Romania ties; and at averting a US-Hungary rapprochement. It exposes the Baltics and Moldova to greater risks though. The net potential aftermath of the EU moves are expected to be negative for most EU citizens. Reduced security means reduced prosperity. The EU defence ministers and NATO Secretary General meet in Bucharest, kicking off Romania’s leadership for the EU this first half 2019. Efforts by the EU to force Bucharest to decline the role have failed. Mr. Stoltenberg made it clear to EU ministers that the EU should focus on being a complementary force to NATO, i.e. the EU military is too small to replace NATO. Mr. Stoltenberg is doing a great job given the circumstances. Trade Talks take a back-seat: We are certain that the Trump Administration will accept a Trade Deal that will provide an immediate extra demand for US products & services, but that will come short of solving China’s state subsidies and IP issues. The boost to US producers will support the GOP hopes for the 2020 General Elections. What to watch: If Congress approves “Reciprocity Bill”, China and Globalisation Agenda will be under serious pressure .. I will be reporting to you again as soon as our assessment deviates again from consensus.